Ph.D., Agricultural Economics, University of Illinois-Urbana/Champaign, 1988. M.S., Applied Economics, Montana State University, 1984. 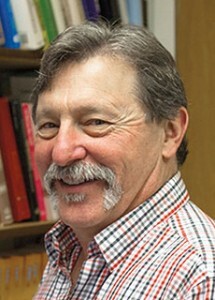 B.S., Natural Resource Economics, Montana State University, 1982. My research program currently focuses on agricultural price performance in local and national markets. It looks at impacts of new information on relative prices, as well as overall price levels. I also am engaged in studying the impact of futures price action on the stability of cash prices. Fortenbery, T. Randall and Timothy Donahue. Opportunities and Challenges for Next Generation Biofuels, in, ed. Controversies in Science and Technology: From Evolution to Energy. Forthcoming. Fortenbery, T. Randall. Commodity Price Discovery: Problems that have Solutions or Solutions that are Problems. Journal of Agricultural and Applied Economics, 41 (2009), p. 393-402. Brinker, Jennifer, Douglas Reinemann, Louis Armentano, T. Randall Fortenbery, and Michael Wattiaux “Bio2 Fuel Production Based on Dairy Consumption of DDGS and Soybean Meal in Wisconsin.” in Biofuels, Food and Feed Tradeoffs. Oak Brook, ILL: Farm Foundation, 2008, pp.120-123.